We have experts on staff who can analyze your metal samples at either of our locations in Erie and Meadville. Looking to verify your metal specification? Lincoln Recycling has the tools and expertise to help you. Our veteran staff is trained in metal identification. 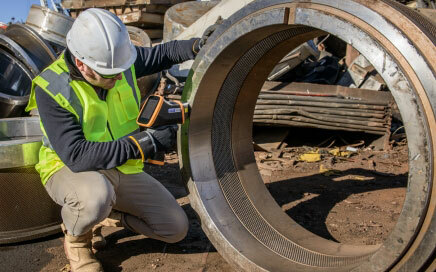 They utilize X-ray fluorescent (XRF) analyzers to provide a fast, non-destructive analysis of your scrap metal. Bring a sample to our Erie or Meadville location or call to make an onsite appointment.